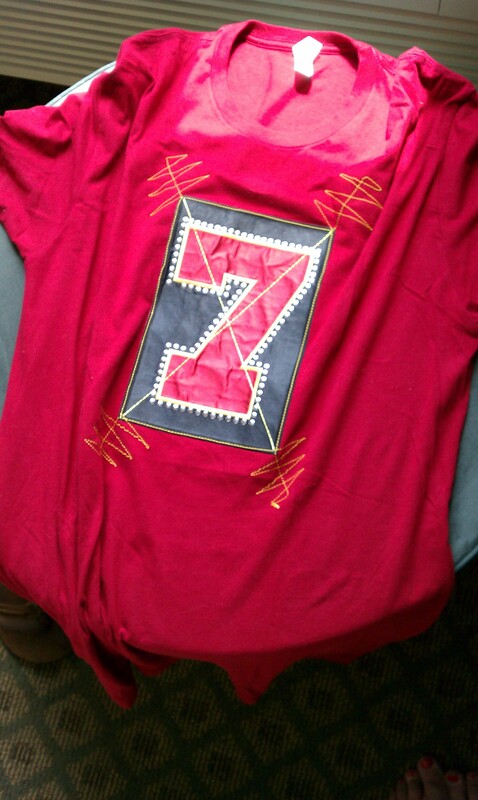 Tonight’s Baltimore concert will be my seventh U2 show, so the shirt of choice is a replica of the “7” shirt The Edge wore during the Elevation tour on the “U2 Go Home: Live at Slane Castle” DVD. 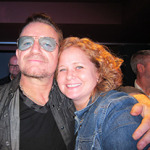 Hoping it will be a lucky 7 type of night … maybe I’ll get to hear “Out of Control,” maybe Bono will acknowledge my sign. Maybe he’ll sing the “shine like stars” verse of With or Without You. Or maybe none of those things will happen, and it will still be one of the best nights of my life. It’s already been a beautiful day in Baltimore. The forecasted rain has held off, though I’ve been sweltering in the GA line since our 6 a.m. roll call. But, I’m not the only one staring at the sun. I’ve reunited with some of my favorite fellow U2 fans, who I met at the 2009 360 show in Charlottesville, and already made some great new friends with people in this line. And it’s been a fun day of radio, TV and newspaper interviews, as all the media outlets want to talk with the crazy people at the front of the line. A local radio station, 98 Rock, has been blaring U2 music all day for the GA line, and the excitement’s building as showtime nears. Desire was playing at one point and I got those “I’m going to be hearing and seeing this band live tonight!” butterflies. Anyone know, can I buy this T-shirt somewhere?